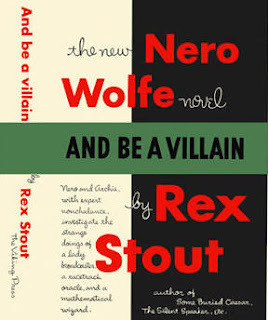 Synopsis: Nero Wolfe, short of funds, reads about the on-air murder of Cyril Orchard, as he was being interviewed by Madeline Fraser and her co-host Bill Meadows; during a radio program which included another guest F. O. Savarese, professor of mathematics. Wolfe offers to take on the unsolved murder on a contingency basis. Starlite soda is a sponsor of the radio program, and during one segment the guests open, drink, and extol the product. Orchard died after drinking his bottle, which was found to contain cyanide. None of those present claim to remember who gave that particular bottle to Orchard. Wolfe interviews fan/teenager Nancylee Shepherd, who assists at the program. She reveals the bottles used on the program are not all identical as claimed, and can positively identify the intended recipient of the cyanide; and it wasn't Orchard. Is it coincidence that Cyril Orchard, publisher of a betting newsletter, is murdered; and another publisher (of an investment newsletter), Beula Poole, is also murdered at about the same time? Wolfe gets a call from nemesis Arnold Zeck warning him to lay off, then manager Deborah Koppel eats a snack from another sponsor, and dies from cyanide. It is a common theme for Wolfe to encounter a group of people who conspire to keep quiet on each other, and it is routine for him to get them in a group to wear them down; but always enjoyable to be on the outside looking in. The star of this novel is teenager Nancylee Shepherd, who is the only one to come up with the one Fact that unravels the case. She is an enjoyable character. I always enjoy an occasional Rex Stout novel. I find the description of the perfectly-run household to always be an incentive for me to clean my desk, pick up all the clutter, and put the household in order. Then I tune in my AM radio to a New York City radio station (I am in Maine, and the NY stations come in clearly at night), press a [pretend] button for beer, put the cap in my desk drawer, pour it in a glass, sit back, and look at my globe.